Get the All Natural Remedy for Restless Leg Syndrome. Discover the secret of Seratame. It’s estimated that over 30 million adults in the U.S. alone suffer from this all-encompassing, sleep-depriving disorder. It’s no joke. Restless Leg Syndrome, also known as Willis-Ekbom disease is a neurological disorder characterized by an overwhelming urge to move one’s legs (body, arms may also be effected). There are two types of RLS. The first typically starts early in life and may be genetic in nature, while the other type doesn’t present symptoms until one is in their mid-40’s. And, although RLS is more common in women than men, no one is excluded. As any RLS sufferer can tell you, the “creepy-crawly leg symptoms” are just the tip of the iceberg when it comes to how RLS affects one’s overall life. RLS is a condition that is only now starting to get the recognition it deserves. It’s estimated that over 10% of the population is dealing with RLS to some degree or another. But experts still don’t know what causes it. You feel like your body is crying out for something…but what? You’ve tried the home remedies and the crazy suggestions, like putting soap under your sheets, or holding awkward stretches. That may work for some people. But you’re not one of them. If you’re like most RLS sufferers, you’ve seen doctors for it. Maybe several. All who either blame stress or anxiety, or aging. But your friends aren’t suffering from RLS. The best your doctor can do is prescribe you drugs that were created for Parkinson’s disease and often cause more unpleasant side-effects than your RLS. Or worse, they prescribe you iron supplements. Well…there’s good news and bad news. The bad news is that there are a lot of doctors who know only a little bit, if any, about RLS. This is a recently recognized condition that is still being taken seriously by the medical profession. The standard protocol for most of those who have heard of RLS is to test your iron levels. Now iron is absolutely a necessary requirement for so many functions of the body, especially for RLS sufferers. So this isn’t a bad idea. The problem is, that the test that is usually done only tests for the amount of iron in the blood. And herein lies the problem. Here’s a little secret that some doctors won’t tell you. Once your test results come in there are only 2 directions they will take with you. And both lead you in the wrong direction. If the test results show low iron levels in the blood, you are put on an iron supplement to try to correct the problem. Your RLS has nothing to do with the amount of iron in your blood. But it has everything to do with low iron levels in your brain. In particular, the substantia nigra region of the brain, which is where the dopamine regulating center is. An experiment1 done in 2011, autopsied the brains of 14 RLS sufferers and indicated that the part of the brain that is directly related to dopamine regulation – the substantia nigra – consistently reflected low levels of iron storage in these RLS sufferers. It’s not a matter how of much iron you have in your blood in fact, it can make your RLS symptoms worse or even fatally toxic to take too much iron. And a recent study2 revealed that only 1 in 5 RLS sufferers were actually iron deficient. Rather, RLS is caused by problems with iron transportation and delivery to the brain. 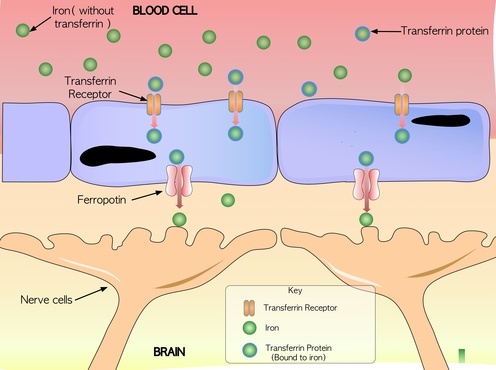 What experts have just recently discovered is that it really comes down to how much iron is able to cross the blood-brain barrier and into your brain where it can be properly utilized. This is because iron is a crucial element for the proper functioning of dopamine neurotransmitters. 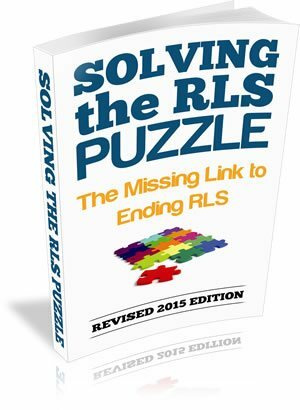 Free for a limited time only, this RLS Secrets eBook shows you an easy to follow action plan that can help stop your RLS quickly. And so much more… This eBook is available to members of the Seratame program and can be instantly downloaded to your computer after joining. There is still so much we don’t know about RLS, however, the most recent and up to date research3 suggests that most RLS sufferers have one thing in common: Their dopamine neurotransmitters aren’t functioning properly. This has been the common theme among so many of the case studies involving restless leg syndrome. To further complicate matters, many reports indicate that aluminum and other toxins clog these receptor sites, causing even further malfunction. So that even if iron was getting to the brain, there would still be obstruction of dopamine transmission. Once these receptors are nourished and clear from obstruction, the delicate communication between nerve cells can function properly again and RLS symptoms can cease. Read below for why this is..
Did you know that over 80% of RLS sufferers are found to be deficient in magnesium? Most magnesium products actually contain the less-effective, less-absorbable, stomach-irritating magnesium oxide or citrate. And yes, it is the cheapest kind out there. 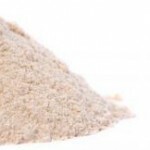 The value of any supplement you take is its ability to be absorbed and utilized by the body. Sadly, magnesium oxide goes right through you, literally, without being absorbed by your body and often causing diarrhea. This is the kind used in most RLS supplements. This is why many forms of magnesium are actually used for laxative purposes. Which is exactly why one of our key ingredients is magnesium malate. Because studies4 have shown that this particular type of magnesium is actually able to cross the blood-brain barrier, allowing for maximum absorption where it is really needed – to help stop your RLS symptoms fast. That’s because magnesium malate is a chelated form of magnesium, which means it’s readily recognized by your body, and therefore the most absorbable. Once absorbed, it magnetically binds with aluminum and other toxins that clog these dopamine receptor sites, safely flushing these toxins from the body. Once clear, these receptor sites can properly receive dopamine neurotransmitters which ultimately holds the key for many who are fighting restless leg syndrome. We have already stated why just supplementing with more iron is in fact one of the worst things you can do for restless leg syndrome, so what does work? 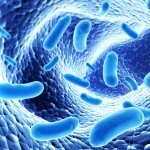 When we were doing research into what was the most effective way for helping iron cross the blood-brain barrier, there was one winner which stood out from the rest – probiotics. Particularly the probiotic strain Lactobacillus plantarum 299. 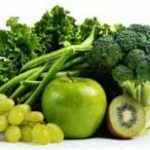 These are friendly bacteria that are already present in the human digestive tract which work hard at breaking down vitamins and minerals from food so that they are more bio-available and useful to the body. But due to modern diet and lifestyle, most people are severely depleted in these friendly helpers. This particular probiotic strain Seratame uses, Lactobacillus plantarum 299, is especially efficient5 at breaking down iron and B vitamins so that they are able to cross the blood-brain barrier. Both of these elements provide the key in getting dopamine neurotransmitters to perform optimally again. Because each of these ingredients below revealed over and over again, to be the clear-cut winners for RLS sufferers just like you. See below the role that each ingredient plays in Seratame that makes it such an effective remedy. 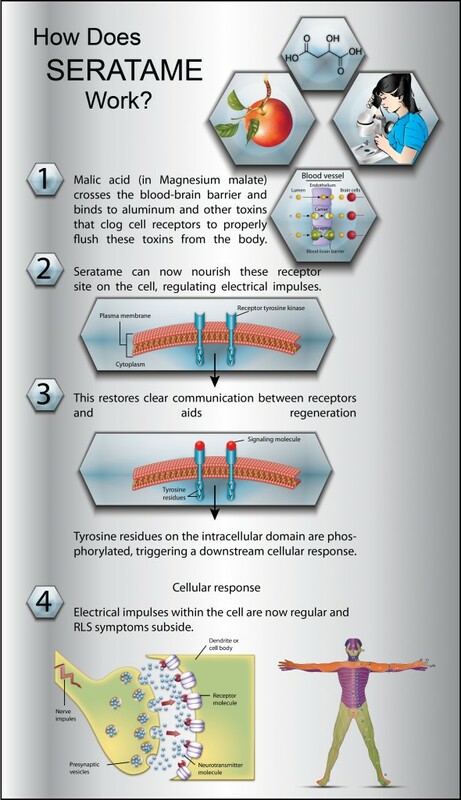 The latest medical research indicates that the RLS is likely a neurological disorder caused by malfunctioning dopamine receptors in the brain.6 Magnesium malate is designed to bind to aluminum and other toxins that clog these receptors, clearing the channel of communication for these receptors to begin working properly again and in turn, drastically decrease RLS symptoms. A medicinal herb that has potent anti-anxiety properties, making it highly effective against anxiety, stress, sleep disorders, nerve pain, ADD & ADHD, restless leg syndrome, Parkinson’s disease, seizures, PMS, and digestive disorders. It contains maltol and ethyl-maltol which can help to reduce insomnia, provide a better quality sleep, and ultimately improve alertness and energy. 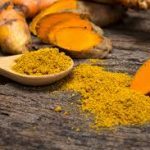 Turmeric is one of the oldest & most powerful natural anti-inflammatory agents in the world & the most recent research surrounding RLS is all pointing towards inflammation as a root cause. Turmeric is special because of its ability to deactivate immune cells that cause excessive inflammation without reducing the effectiveness of the immune system. We are most excited about including this powerful, all natural RLS fighting compound in our new & improved formula. RLS has been associated with vitamin D deficiency in several key studies, & RLS severity has been inversely correlated with vitamin D levels. This is because vitamin D increases the levels of dopamine in the brain & protects the brain from toxins that can cause an imbalance of dopamine levels. Vitamin D3 is the most effective and highest quality vitamin D that we’ve found at correcting any vitamin D imbalances in the body. Vitamin K2 and D3 work together synergistically, increasing their effectiveness to transport calcium to your skeleton where it belongs & away from dangerous areas where it tends to accumulate such as arteries & blood vessels. There are several studies suggesting that many RLS cases involve excess calcium within soft tissue cells & supplementing with vitamin K2/D3 has been shown to provide relief to RLS patients. The term “probiotic” is derived from the Greek and means “For Life.” This is a probiotic which targets and reduces harmful bacteria in the body, and is widely known to aid in the absorption of iron in the brain, also deficient in many RLS sufferers. Because of its unique ability to synthesize nutrients for the body, we’ve found this to be the component that really ties together all of the ingredients found in Seratame, increasing the bio-availability for these ingredients, especially Iron, allowing for maximum absorption at the cellular level. “I have had restless legs more than twenty years and I have tried many medications over the counter, and with a prescription to stop it and nothing helped to calm my agitated legs…Mirapex, and the generic named capsules didn’t calm my restless legs, and the after effects had my stomach upset for days after taking them…Over the counter medicine Magni-Life, ” Restless Legs Relief ” Didn’t help calm my agitated legs, and left a dry taste in my mouth for days after taking capsules… After three days of taking Seratame, my legs calmed down and the agitation stopped… I am very satisfied with the results, and overjoyed that I can finally sleep thru the night without being awaken by agitated legs… I consider this a blessing after so many years of being awaken during the night because of restless legs… Thanks to Seratame. 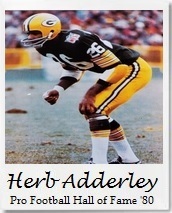 I strongly suggest to anyone with restless legs to try Seratame if your current medication isn’t helping you… I hope that your results will be as good or better than mine after three days of two capsules per day.” -Herb Adderley, GREEN BAY PACKERS – 1961 -69 – DALLAS COWBOYS – 1970 -72 – PRO FOOTBALL HALL OF FAME – 1980. “I’ve lived with Restless legs from a very young age and have always looked for ways to find something for it that would be lasting. I tried so many different remedies for RLS with temporary relief, but nothing seemed to work for very long. My doctor had me on pain medication for it but I would always end up feeling sick from the side effects. I’ve tried using a heat wrap around my legs which helps, but in warm weather I would wake up feeling overheated. After giving Seratame a shot, I noticed results after week 2 and my symptoms began to diminish. I was surprised that it worked. 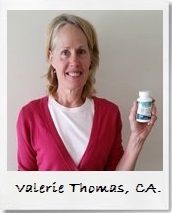 I’ve noticed that it helps me to relax and fall asleep faster at night and my body feels more ‘settled’ now while going to sleep.” -Valerie Thomas, Ca. 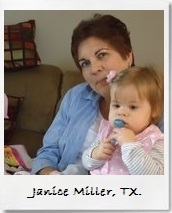 “Just wanted to say thank you for such a great product. I take it every day. 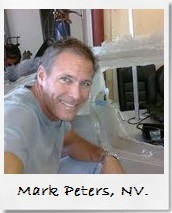 Keep up the good work.” – Mark Peters, NV. “There is a lot of misinformation online about what to do about RLS and I’ve tried so many different things to find relief. This is hands down the best product I’ve found and am so happy to be symptom free now. 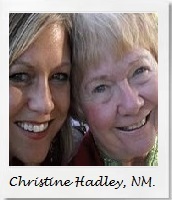 Thank you.” – Christine Hadley, NM. How much Seratame do I need to take per day? 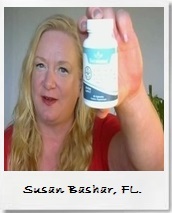 Take 2 capsules per day until your symptoms cease. Our unique formula is designed so that you see immediate results, however, it’s best when taken consistently for a longer-term period. This is because Seratame works to replenish the vitamin/mineral imbalances within your body. Often, people don’t start seeing results until at least 2-3 weeks of regular use, depending on the severity of their deficiency. Seratame is an all-natural supplement. All of its ingredients are naturally occurring, which means the supplement lacks many of the nasty side effects associated with prescription drugs for RLS. When is the best time to take Seratame? We’ve found that the ideal time to take Seratame is just before dinner on an empty stomach. Especially if your symptoms happen primarily in the evenings. What is the Seratame Program? When you join the Seratame program, we send you a bottle once a month until you achieve the results you desire. You can easily cancel your membership at any time by emailing info@purebiogenics.com or calling our hotline at (877) 269-2694. We immediately cancel you and send you an email confirmation of your cancellation as well. 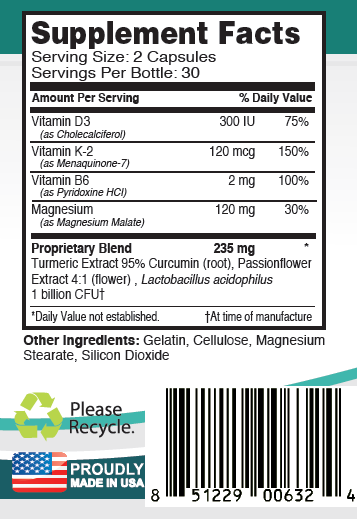 Seratame is made from the highest quality herbal extracts, vitamins, minerals and probiotics. 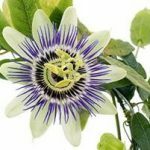 They include magnesium malate, Passionflower, Turmeric Extract, Vitamin D3, Vitamin K2, Vitamin B6 and Lactobacillus acidophilus. It includes all the ingredients that you need to help stop RLS symptoms for good. Can I take Seratame with my current medication? This is always a question that is best answered by your physician. Many people take Seratame along with their other prescriptions, however, consult your physician first. 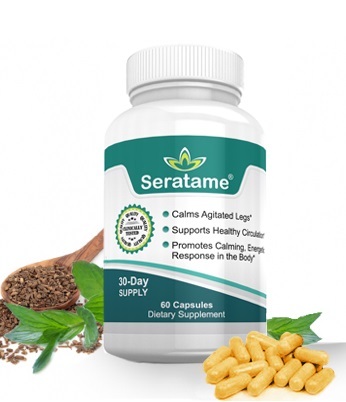 Seratame was carefully crafted and designed by the makers at Pure Biogenics, LLC – an herbal supplement manufacturer based in California who values its customers’ health first. Feel free to contact us any time at info@purebiogenics.com. Shipping and handling is free for all orders and they are shipped via USPS First-Class mail. Seratame is made in sunny California in an FDA-approved facility. Unfortunately, many RLS supplements are manufactured in China, which currently has a poor record for creating safe herbal supplements. We are proud to manufacture Seratame here in the United States. How do I order Seratame? You can order Right Here. All you need is an address and your credit card. You can easily cancel your membership at any time by emailing info@purebiogenics.com or calling our hotline at (877) 269-2694. We will immediately cancel you and send you an email confirmation of your cancellation as well. It varies for different people. Some people experience benefits within the first couple of hours of taking Seratame. In the beginning, initial results may be visible in a few weeks, with full results being achieved in 2 to 4 months. Seratame works to replenish the vitamin/mineral imbalances within your body. Often, people don’t start seeing results until at least 2-3 weeks of regular use, depending on the severity of their deficiency..
Can I take Seratame during pregnancy? Seratame is not recommended during pregnancy or while breastfeeding. Yes, it comes in a plain manila package that simply bears our name “Pure Biogenics”. Our Seratame Program comes with a 60-day Guarantee. If you are unsatisfied for any reason you may return the one bottle of Seratame within 60-days of your purchase for a full refund minus shipping and handling charges. The one thing you’re likely eating at almost every meal you must avoid. 7 key factors that could be contributing to your restless leg symptoms. The 5 top foods that are making your restless leg symptoms get even worse. How this one change to your sleep habit dramatically improves RLS symptoms. Imagine if your RLS was just a memory? We know you may be skeptical. Because just like thousands of other men and women across the world, your RLS has driven you to the edge. Doctors have told you it’s just something you have to live with. Or maybe they keep you on the “medication merry-go-round”. Now there is a real solution. Simply take action and start the Seratame Program. Start your new life today. 3. The neurobiology and treatment of restless legs syndrome Jones R, Cavanna AE. 4. Magnesium therapy for periodic leg movements-related insomnia and restless legs syndrome: an open pilot study. Hornyak M, Voderholzer U, Hohagen F, Berger M, Riemann D.